René Girard died November 4th in his home in Stanford, California, at the age of 91. Most probably you haven’t read any obituary about him, and I only learned of his death tonight when I went on the Girardian Reflections website. The reason why I went on the website tonight was because for the past few days I had been wondering whether Girard had expressed any thoughts on the terrorism now engulfing so much of the world. I knew he was sick and very old, but I still wondered whether he had expressed or written anything about recent events. And thus I learned of his passing into eternal life. Girard was an anthropologist, social scientist, philosopher and literary critic, best known for the Mimetic Theory that became the key idea guiding most of his research and writing. Only one thing kept him from being better known: he was also a dedicated Christian, and that alone kept him from becoming a rock star among academic scholars. Academia generally is not too fond of scholars who are openly Christian. Thank God, Stanford University in California proved an exceptional place, where he could teach and write for almost 15 years until his retirement. With his ideas of Mimetic Desire and “Scapegoat Mechanism” Girard was able to explain much of the violence that undergirds human history. As we continue to contemplate the aftermath of the Paris terrorist attacks and the broad state of war that now exists between western societies and Islamic ideologies, Girard’s ideas can become even more relevant as he also guides us to the core of the Christian gospel. As far as I am concerned the subject of literature and Christianity is literally the story of my whole intellectual and spiritual existence. Many years ago, I started with literature and myth and then moved to the study of the Bible and Christian Scripture. Great literature literally led me to Christianity. This itinerary is not original. It still happens every day and has been happening since the beginning of Christianity. I can honestly say this was also my experience. My own awareness of Christianity began in the summer of 1978, during my travels in France and Italy. Growing up in an ethnic Orthodox environment taught me nothing about God and Christ. I was a vacuum waiting to be filled. The filling began in the countless hours spent inside Gothic cathedrals and galleries of medieval art depicting so much of the Christian gospel and beliefs. 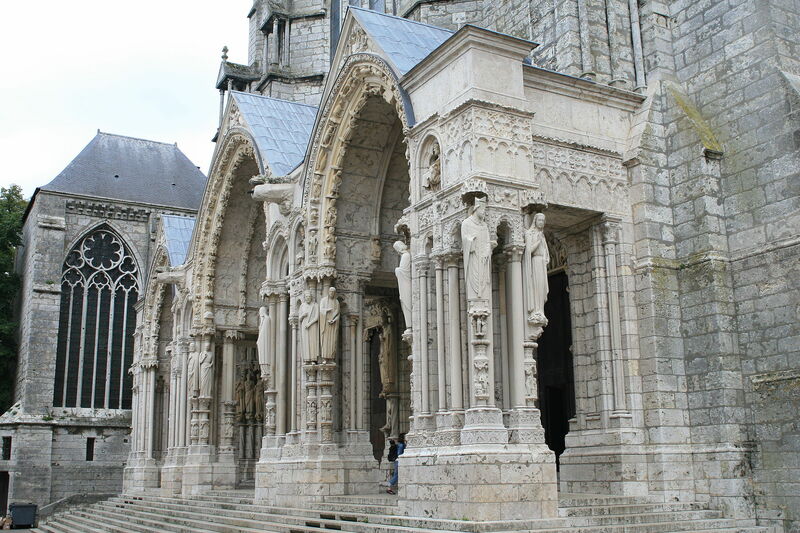 Everywhere I went in France and Italy I bought the most detailed guidebooks that I could find so I could experience these masterpieces of architecture and art. 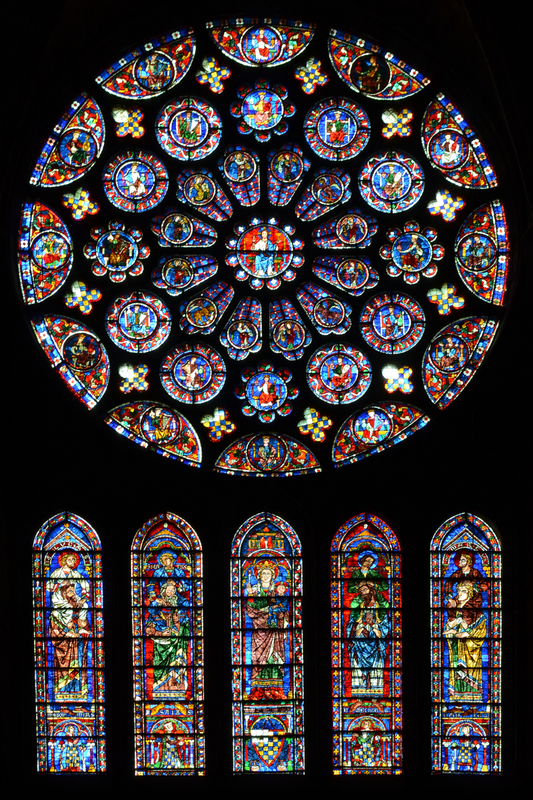 I will always remember the English guide at Chartres, Malcolm Miller, and the extraordinary insight he provided into the magnificent stained glass windows and statuary of that extraordinary cathedral. 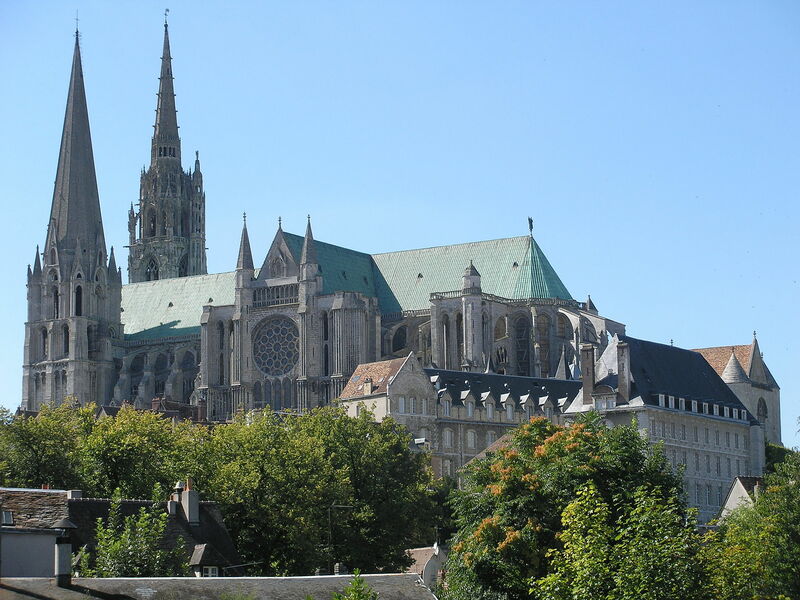 Chartres remains to this day my favorite Christian church in the entire world. Nothing compares to it. And Malcolm Miller is still there, according to the Chartres website! How I would love to listen to him again. After France, Ravenna and Rome, where I came into contact with even earlier expressions of Christian art and architecture, almost all the way back to the time of the apostles. My understanding of Christianity was relentlessly expanding through art and architecture… and then came the literature. 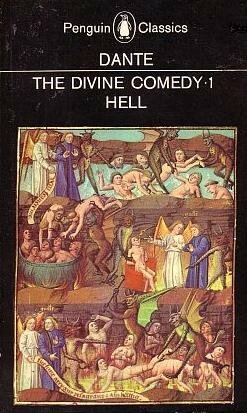 In Florence I started to read the Divine Comedy of Dante, in a wonderful translation by Dorothy Sayers which I still have as a prized memory. The first part of Dante’s trilogy, Inferno (Hell), simply blew my mind, and I continued into the second and third parts of the trilogy, Purgatorio and Paradiso, and I was getting a Christian catechism through the pages of this medieval masterpiece. Art, architecture and literature. And let’s not forget music. How much of the greatest music of western civilization was created in praise of God and as an expression of Christian beliefs! From long-lost chants of the early church, to soaring melodies of Gregorian Chant, to ornate Byzantine creations, and then to the masterpieces of Bach, Handel, Mozart, Beethoven. Many of the greatest and most frequently performed works of classical music have religious texts and purposes: Bach’s Mass in B minor and the St Matthew Passion, Handel’s Messiah, Mozart’s Requiem, Beethoven’s Missa Solemnis, Mahler’s Eighth Symphony, Britten’s War Requiem, and hundreds of other works that form the core of choral societies and symphony orchestras around the world. Christianity has been the single greatest force to promote the finest, most profound and most beautiful, creations of human achievement and civilization. Christianity, whatever our faults and failures down the centuries, has inspired the best in human creativity; even science would be unthinkable without the spread of the Christian world-view, regardless of whether most scientists today consider themselves atheists or agnostics. Perhaps that would be part of Girard’s message to ISIS and their brethren in brutal acts of violence. These subhumans inhabit a different world than Chartres, Dante and Bach – which explains why they destroy the architecture of Palmyra, a jewel of ancient civilization. Christianity humanized the world of barbarism. The great works of art and architecture, literature and music, raised the human consciousness to free contemplation of God and the beauties of creation. The subhumans of ISIS don’t see beauty; they don’t even see the beauty of the classic eras of Islamic civilization. They see only violence and the degradation and enslavement of men and women and children. They represent return to barbarism. And they attract soulless men, women and teens from Europe and North America who can only find purpose in carnage and destruction of human life. 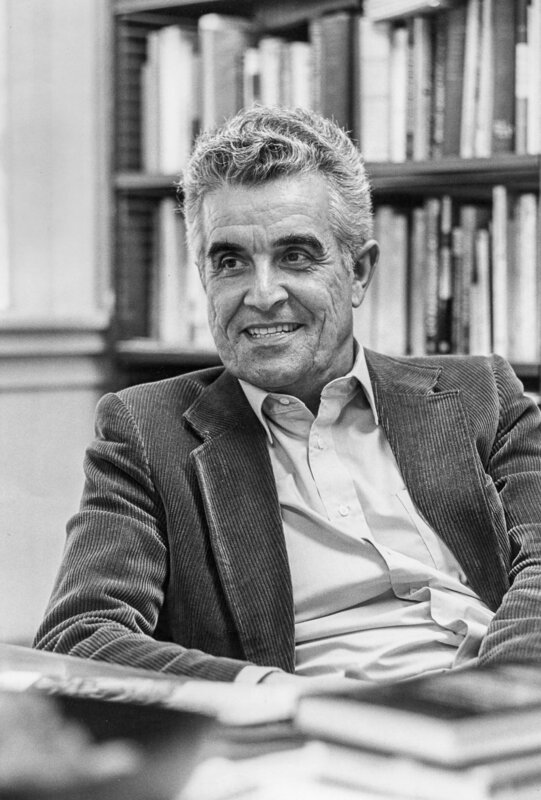 René Girard used his theories of mimetic desire and the scapegoat mechanism to explain human violence, especially violence associated with religion. His ideas cannot be reduced to a few sentences and I’m not capable of even attempting such a thing. But violence is becoming increasingly a factor in our lives and none of us can feel secure or remote from the threat of violence wherever we live. Much as I admire Girard’s theories, I find comfort knowing that this man who delved so deeply into the origins and mechanisms of violence also found inspiration and meaning in the same great masterpieces of literature, music and art that have enriched my own life and the lives of countless human beings who have desired nothing else than to live in peace and enjoyment of what is best in us. René Girard was a magnificent example of a beautiful life. As one admirer expressed it: May our brother René Girard rest in peace and rise in the glorious love of God. Categories: Global Visions | Tags: Christianity and Civilization, Christianity and Literature, ISIS, mimetic theory, Rene Girard | Permalink. Thank you, Father, for notifying us of the passing of Professor Rene Girard. I was somewhat acquainted with him when he was chair of the French Department at Johns Hopkins University in the early 1960s. At the time I was a graduate student next door in the Department of Germanic Languages and Literature. He always greeted me with “Bonjour, comment allez-vous?”. His students, many of whom were my friends, spoke very highly of him as a very inspirational teacher. I believe he developed his mimetic theory later in life. I was not fully aware of his accomplishments in more recent years. Your discussion on the role of Christianity in the development and progress of arts and sciences is most inspirational. Thank you.